Will South Africa be the Next to Ban Online Gambling? Discussion in 'Gambling News' started by Marina, Nov 5, 2014.
as Singapore has recently moved to severely limit remote wagers, China has stringent restrictions, and Greece has an outright ban on all electronic gaming. classified as “sporting.” Over the years, illegal casinos crept up and, at its peak, an estimated 2,000 were thought to exist. However, legislation changed in 1994 and all forms of gambling became legal. gambling, for operators, players and anyone else involved, are steep. If convicted, offenders may face a fine of 10 million South African rands and/or be subject to 10 years of imprisonment. resulting in bank overdrafts. Additionally, they gave themselves massive wage increases, have been accused of intimidation, appointed staff members unlawfully, and have engaged in other corrupt behaviors. of Trade and Industry, and they also serve in an advisory capacity to the department. For this reason, the opinion of members of the National Lotteries Board may be key in upcoming legislation changes. 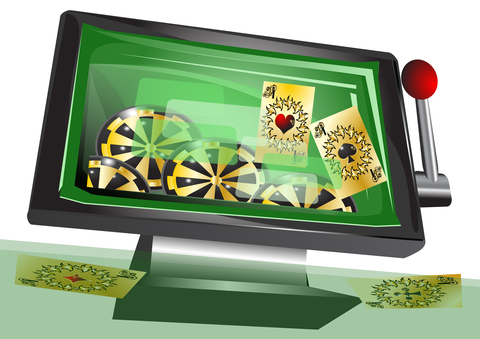 In April 2014, a draft of South Africa’s Remote Gambling Bill 2014 was published. Primarily, it permitted online gambling, provided the operator held a license issued by The National Gambling Board. Licenses would only be available to operators who have physical equipment within the province in which they applied, though players outside South Africa would be permitted to place wagers as well. as of yet, but South Africans, as well as remote casino operators, have been optimistic that it will pass. are exempt from legislation, though the number of licenses permitted was recently temporarily reduced. It was further recommended that the reduction become permanent. of operations. On the other side, opponents of the ban cite South Africa’s illegal gambling past. Historically, the people have created betting venues despite laws and this would be expected to continue. Without an agency to oversee operations, those betting are more likely to be taken advantage of by unfair practices and face problems with addiction. Discussions are still being held, and it’s quite likely full details have not been released to the general public yet. However, at the present time, it appears that South Africa will soon join the leagues of jurisdictions that outlaw remote casinos. Most countries ban gambling because they want a piece of the action. It bothers me because they earn more than enough money from other revenues. In other words, leave the online Gambler's alone and allow them to play in peace without the government getting involved. It always ends up political.